You are the most important person to us. Got a question or simply need someone to talk to? Feel free to use the form to the right and we will get back to you in a speedy manner. Create Your World, Then Live In It. Aim High, Never Compromise. Multi-Dimensional Men & Women's Street Fashion Brand with a mission to inspire, challenge, & stimulate your dreams. It's been awhile since we last hung out! We're proud to announce our first pop-up shop of 2019, this Saturday at Closette 323, located in Castleberry Hill. Come hang for an hour or two, hang out, meet each other, and shop current styles and pieces for your winter wardrobe. 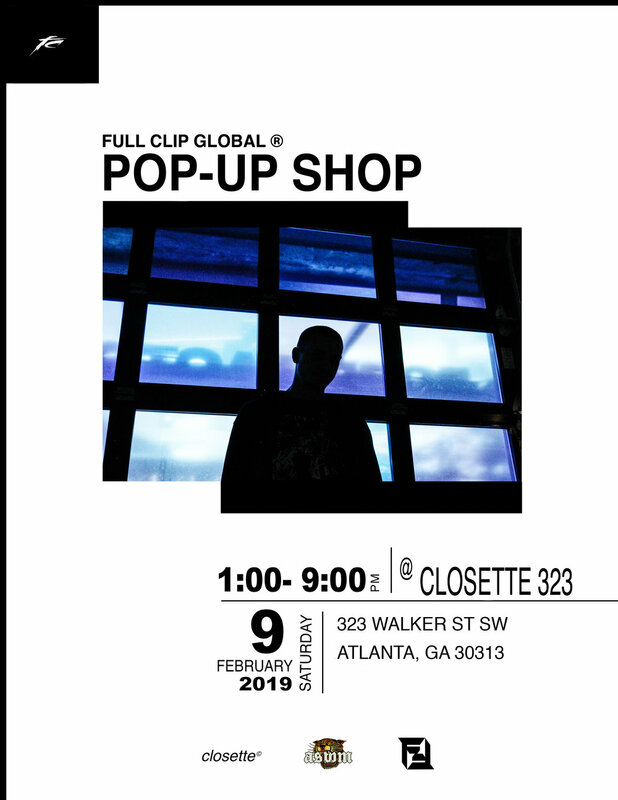 This pop-up shop is powered by Closette 323 store in collaboration with the Atlanta Street Wear Market. Copyright © 2018 Full Clip Global LLC, All rights reserved.